Single letter monogram with an optional accent outline stitch. 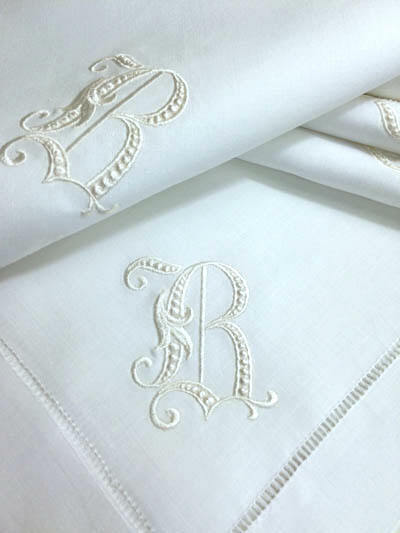 100% Linen available in White. Table Runner Not Available. Napkins & placemats gift-boxed with ribbon.